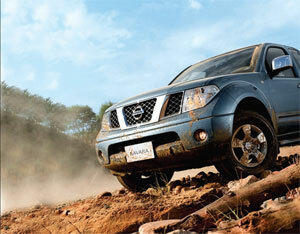 Associated Motorways (AMW) launched the all-new Nissan Navara, which replaces their best selling D22 pick up. With a bold expressive and adventurous exterior style, and rugged design lines, the Navara, known worldwide for its class leading luxurious ride comfort and powerful engine is set to become one of the most popular vehicles in Sri Lanka. The interior matches the exterior of the vehicle with great functionality along with comfort and intelligent design. From a lockable dual glove box, centre console storage and the front door having room to store one little bottle together with multiple cup holders, the Navara is ideal for long distance travel. The Navara is capable of travelling on any off-road terrain with ease with its electronically controlled part-time 4WD system. A dashboard rotary switch allows you to easily select from three driving modes - 2WD, 4H and 4Low for extreme conditions. From a safety standpoint the NAVARA comes fully equipped with all safety features including some that are usually only found in Passenger vehicles. Equipped with ABS, Dual front SRS Airbags, electronic brake-force distribution, stability control and other safety features will allow drivers and passengers to travel with a peace of mind. Powered by a 2500CC DOHC inline 4-cylinder turbo diesel engine specifically designed for locally available fuel. The Navara will be offered with a range of engines, the most powerful of which has the capability to produce a maximum of. 168hp and 403Nm of torque mated to a 6-speed manual transmission or a 5 speed automatic transmission. Yohann De Zoysa- General Manager of NISSAN at AMW said “ The Navara has enjoyed global success since its introduction in markets including Europe and Australia. The Navara sets itself apart from all competitors by offering the best ride comfort both on and off road, than any pickup in the Sri Lankan market.